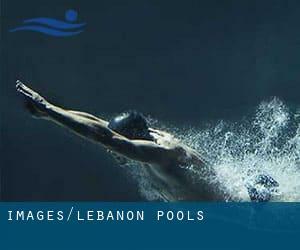 If you will be looking for Lebanon Pools, it's fantastic to know numerous of them belong to gyms or sports centers which also offer lessons. Get informed by calling the premises. Before trying any pool, make sure you know the rules and regulations for Lebanon Pools as they may not be the same as inside your house town. We suggest you make contact with the pool directly to ask if you will need a hat, and what style of footwear or distinct clothing you will need. Going to a Lebanon Swimming Pool is escalating particularly within the elderly population sectors of Lebanon, who have suffered some style of muscle or bone damage. Do you know of any Pools in Lebanon that should be listed here? Contact us!. Please have a look at the pools swimmers like you've reported near Lebanon. Please, report any Lebanon Swimming Pool not listed here. Are you on holiday and desire to keep fit and healthful? Swimia.com provides you the easy and quickest solution to come across Aquagym in Lebanon near your present location. Enjoy the best indoor pools in Lebanon and don't worry about the weather. These facilities are open all seasons and you can enjoy a swim at the same temperature every day of the year. 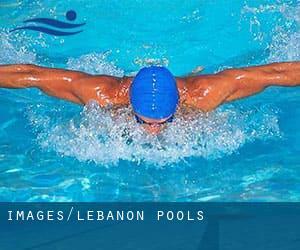 There are quite a few reasons why you must choose a heated swimming pool in Lebanon. The most essential 1 relies on the importance of keeping the body temperature stable. When the water is too cold, your body will try to warm it up and you will shed strength to swim properly. Let us tell you a secret to switch off although you are in Tripoli: just choose a Pool in Tripoli and plunge into the water! There's no far more effective system. It's hard to visit Lebanon without dropping by Sidon (with 163.554 residents). Presently Swimia is showing you all the Swimming Pool in Sidon and also the closest pools located in its vicinity. Swimming is really a wonderful thought to keep your body active during your visit to Tyre (Lebanon), or perhaps should you be a local. Swimia helps you to find your closest Pool in Tyre. Holding an estimated population of 120.000, Nabatîyé et Tahta is among the most important cities in Lebanon. Check all of the Swimming Pool in Nabatîyé et Tahta and its surrounding area. Without a shadow of a doubt, swimming in Habboûch is the very best method to unwind after perform. Take a couple of minutes to browse Swimia's catalog to find a Pool in Habboûch. Ras Beirut , Beirut . This sports center offers 20 meters x ~10 meters, 1.5 meters depth, 1.5 meters depth, Indoors. For this Swimming Pool, only phone number is number here. American University of Beirut , The Sea Corniche , Beirut . Swimmers like you reported 25 meters, 6 lanes, Indoors. Unfortunately we do not have the email address of this Swimming Pool, but we can give you the phone number.